With the Splendor going great guns in the Indian market, Hero upped the ante by launching a more visually pleasing commuter motorcycle for the masses as the design of the popular bike was basic. For this purpose Hero introduced the Passion as its premium commuter two-wheeler offering. With a nice bikini fairing, sculpted fuel tank and snazzy graphics, the Passion was able to make a mark in the highly competitive market. Consumers who were looking for a bit of pizzazz went for the new bike and it soon became among the top selling motorcycles for Hero. With passage of time, the country’s largest two-wheeler maker has updated the bike on regular intervals with cosmetic updates and also renamed it Passion Pro. Powering it is the same iconic 97.2cc motor as see on the Splendor. The air-cooled mill churns out 8.3PS at 8,000rpm and peak torque of 8Nm at 5,000rpm. Power is transmitted to the rear-wheel via a 4-speed gearbox. One of the key for the success of the Passion Pro is its powerplant that is almost bullet proof with respect to reliability and extremely frugal. The bike returns an overall fuel efficiency figure of above 70kmpl which is impressive. Apart from being frugal, the engine also very refined which adds to its appeal. Riding posture of the Hero Passion Pro is upright and commuterish which makes it comfortable. The long and flat seat makes the bike pillion friendly also. The double cradle frame is a straight lift from the Splendor which makes the motorcycle extremely nimble a trait that is a boon on traffic clogged streets. Braking duties are handled by drum brakes at front and rear which are suitable for the power on tap. Front disc brake though is an optional extra. With respect to suspension, the bike employs telescopic front forks and hydraulic shock at the back. Ride quality isn’t very plush but it does the job. 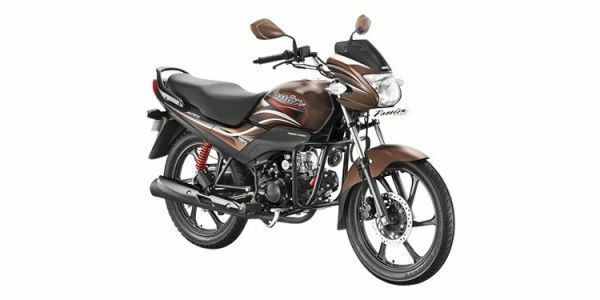 The Hero Passion Pro is a good option for someone who needs a reliable work horse alongwith visual appeal. Also there is the added benefit of fuel efficiency and Hero’s massive dealer network spread and the fact that maintenance cost is amongst the lowest in the segment. So it isn’t surprising that almost 15 years from its launch the Passion Pro continues to be among the top five selling motorcycles in India. Hero Passion Pro prices start at Rs. 53,975 (Ex-Showroom) and the top end variant Hero Passion Pro i3S AW DISC is priced at Rs. 55,975 (Ex-Showroom). Hero Passion Pro is available in 3 variants and 8 colours. Share your experiences with Passion Pro? The claimed ARAI mileage for the Hero Passion Pro petrol is 84 kmpl. One of the most popular motorcycle from the Hero line-up, the Passion Pro is a hit in rural as well as urban markets for its friendly styling matched by frugal engine. Q. Which bike is the best for daily run of 100km? Q. Does Passion provide low mileage before first service as my Passion i3s is providing 32 mileage. No I haven't faced that problem ever probably you should reach your service station and ask them for the problem. happy riding!! Q. Which is better Passion Pro 100 cc, Passion XPro and Dream Yuga 110 cc? Q. Which bike should I buy in all respect like mileage, look, family bike, suspension, and maintenance free - passion pro i3s ,HF Deluxe i3s,or i3s splendor plus? The second most popular brand from its large product portfolio, Hero MotoCorp's Passion Pro is style mixed with affordability at its best. Hero's Passion has been around for more than a decade, offering a more premium alternative to the veritable Splendor. The Passion gets a larger bodywork than the Splendor and ends up looking like a larger motorcycle. Underneath, the mechanicals are the same as the Splendor and that includes the tried and tested and frugal 97.2cc air-cooled powerplant. The bike comes with 18-inch alloy wheels and weighs just 112kgs. Braking is via drum brakes on both ends. Power is courtesy the 97.2cc air-cooled single. This has to be the most successful engine in the world, known for its fuel efficiency and bulletproof reliability. The motor makes 8.36PS at 8000rpm and 8.05Nm of torque at 5000rpm. The powerplant is mated to a four-speed gearbox. The frugal motor returns a claimed fuel efficiency of 87kmph while top speed is a claimed 87kmph. Honda CD 110 Dream: In terms of design, the CD 110 Dream offers understated looks and minimal body graphics. It features a small bikini fairing and two-pod instrument cluster with speedometer and fuel gauge. Fit and finish are top notch, as expected from a Honda product. Powering the bike is a 110cc air-cooled single that makes 8.36PS and 8.63Nm of torque. The engine is known for its refinement and is coupled with a smooth four-speed transmission. Fuel efficiency is a claimed 74kmpl. TVS Star City Plus: The Star City Plus offers a lot in terms of style and features. Designed like a larger 125cc bike, the Star City Plus gets an analogue speedometer and a digital fuel gauge along with a service indicator and eco and power mode indicator. Switchgear quality, build quality and paint finish are impressive and the bike feels solidly put together. Powering the bike is a 110cc air-cooled motor that generates 8.4PS and 8.7Nm of torque. Power is transmitted via a 4-speed gearbox. The motor is refined, peppy and frugal. TVS claims a fuel efficiency of 86kmpl and a top speed of 90kmph for the bike. The Passion Pro has been around for a while now and being an old product has not much going for it. The design looks dated and there is not much on offer in terms of equipment. The frugal and bulletproof engine is a big positive but then there are quite a few modern and equally capable motorcycles available in the market. Confused about Hero Moto Corp Passion Pro?